It’s impossible to say when the first alcoholic beverage was created, but evidence shows fermented brews have been part of the human experience for thousands of years. And while UWA might have passed its centenary only recently, its graduates have had a long association with good winemaking, and are credited,among other things, with having played a major role in establishing the much-loved Margaret River wine region. Now a new generation of brewers, distillers and winemakers is pushing its creative skills to the limit, using a combination of science, business, marketing and a bespoke ‘ground-to-glass’ approach that’s finding a fan base both in Australia and internationally. Creating alcohol from fruit or grain is one of the oldest biotechnology processes in the world – it’s thought the first ever alcohol production kicked off between 10,000 and 12,000 years ago when early farmers noticed the fermentation that had taken place in fallen fruit. 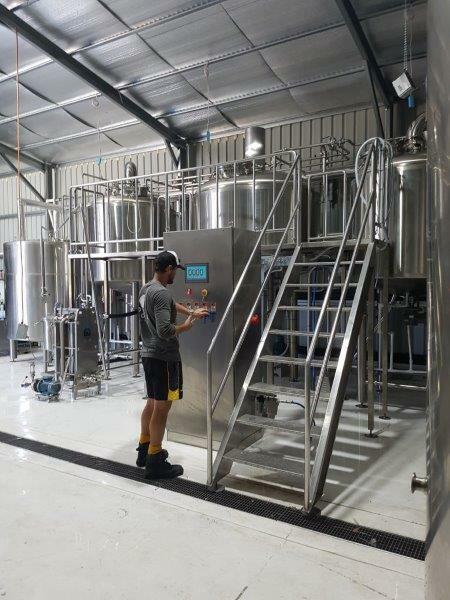 You can imagine their surprise at the fizziness and sharp aroma of their brews, and, later, the effect on their senses as these primitive landholders processed the new drinks they’d literally chanced upon. By the Middle Ages, beer was considered safer to drink than water which, because of poor sanitation, often carried disease-causing bacteria. But the business of creating beer, wine and spirits is an increasingly complex one, and a process that has begun turning full circle as consumers seek out handcrafted, artisanal products that offer more than the big brands. “You’ve seen the beer and spirit markets go crazy with all sorts of products and you’ve got all of these lively and clever young people like Nic Peterkin who are challenging some of the orthodoxies and saying, ‘I want to do things differently’,” says Peter Forrestal, one of Western Australia’s most high-profile wine writers. A close observer of the Margaret River wine region for many years, Peter has recently joined with fellow wine writer Ray Jordan (both are UWA graduates) in publishing The Way It Was, an account of the early days of the Margaret River wine industry that coincides with the 50th anniversary of the planting of its first vines. Many of the early pioneers had links to UWA: cardiologist Dr Tom Cullity, for instance, who was not only a graduate but also lectured in cardiology at the University. The story goes he discovered a love of European wine while working in Britain at the National Heart Hospital, eventually setting up a seven-acre vineyard in Wilyabrup. 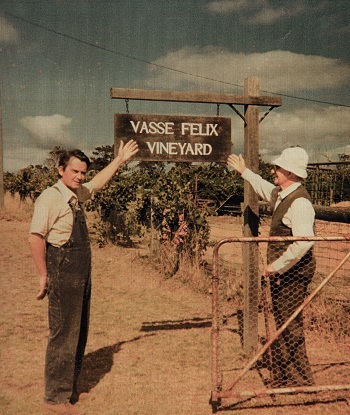 “He called the estate Vasse Felix, meaning happy or lucky,” Peter says. “From these vines came the first commercially produced Margaret River wine." I think winemaking can be an outlet for doctors and scientists, it gives them artistic release. Tom Cullity is recorded as talking about the attention to detail required – the scientific method and precision. 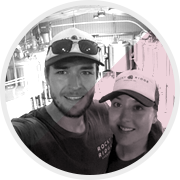 The list of the region’s wineries and breweries owned by UWA graduates is extensive – Sandalford Winery, Thompson Estate, Voyager Estate and Bootleg Brewery, to name just a few. Kevin Cullen from Cullen Estate was another pioneering Margaret River winemaker and UWA graduate, and studied medicine before moving into winemaking with his wife, Diana. Their daughter Vanya, one of six children, studied zoology at UWA and was appointed chief winemaker at Cullen in 1989. “Several of Kevin and Diana’s grandchildren also have an interest in wine and wine production,”Peter says, pointing to Nic Peterkin. “Nic’s mum, Shelley, is a Cullen and his father Mike, also a UWA graduate, was one of the few qualified winemakers working in the region in the seventies and eighties before setting up Pierro Winery. Nic is one of a new breed of people concentrating on making small volumes of wine that are therefore quite rare and very exclusive. 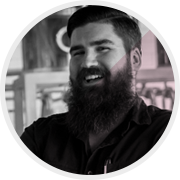 Despite his solid winemaking roots, Nic has built his own business, LAS Vino, from the ground up and is forging his own path with the likes of Albino PNO (a pinot noir-chardonnay blend) and The Pirate Blend NV (made with three Portuguese grape varieties). He says his science and commerce degrees, along with his MBA, a master’s degree in oenology and more than 10 years of travelling wineries and vineyards around the world gave him the desire and the skills to experiment with his own product. “I came home with no money, no vineyard and no winery but a strong desire to create wine that was different to anything else being produced out of this region,” he says. When doing my MBA, I learned about ‘Blue Ocean Strategy’ which encourages you to look at the traditional way of doing things and then do the opposite. I thought, I won’t try to buy a vineyard and I won’t use the expected varieties to make wine – I’ll focus instead on creating unique blends with uncommon varieties, and export to key locations around the world. After renting space at Pierro, he set about producing, packaging and marketing LAS Vino, with the ‘LAS’ in the brand name standing for Luck, Art, Science. “We can thank science for giving us an excuse to break the rules and create something different and interesting,” he says. Just 30km down the road, brewer Hamish Coates is using lessons learned in geology and physics at UWA to introduce remarkable change at his family’s dairy farm at Jindong, just outside of Busselton. 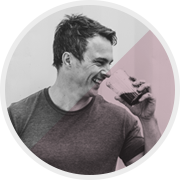 With the help of his father Colin, Hamish has set up Rocky Ridge Brewing Co, a unique operation designed to be self-sufficient, sustainable and off the grid. The Coates also grow their own barley for use in brewing and have set up an orchard so they can use farm-grown fruit in some of their beer. 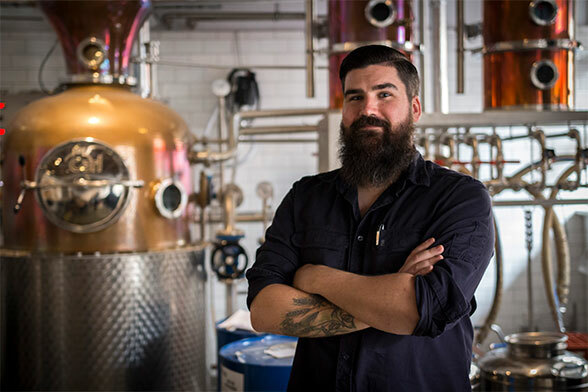 Distiller Alex Poulsen, another UWA grad, may not grow his own produce but is just as passionate about the vodka and gin he crafts at Hippocampus Metropolitan Distillery in West Perth, and more recently at Boatrocker Brewers and Distillers in Melbourne. Alex studied pharmacology and biochemistry at university and says while life in a lab coat wasn’t for him, he’s now ‘a bit like a mad scientist’, experimenting with barley-based vodkas, raspberry and strawberry gum gin and various wheat varieties. “There’s a very scientific approach to any new product,” Alex says.“We do it on our small-scale stills and if it’s good and it works, we scale it up and see how it goes. While we push the envelope in distilling we’re very much about quality and not quantity and about making something that people can enjoy. As with most people who travel extensively, there’ve been a few perilous moments in Nic Peterkin’s life but he remembers the hairiest as working at Casa Madero.The oldest winery in the Americas, it’s situated in a fertile stretch of land in Parras de la Fuente in Mexico. In three short years, the lanky larrikin and fifth-generation farmer, who is passionate about the south west region of WA, has transformed the family’s dairy farm into a hot name on the craft-beer scene. I loved science but didn’t want to follow the research route and pull on a lab coat. Dad’s a lawyer and mum has done a whole lot of different things, and yes, they did look at me strangely when I said I wanted to use my skills to craft alcohol but it just goes to show where you can go.